The Make Art a Part (MAP) Learning Project at Pine Beach Elementary is a six-week summer program that integrates the arts into other subjects for basic skills students. MAP was made possible through an NJ Department of Education grant award. Sustainable Jersey- the organization provided grant funding for a renovation of Poseidon lab downtown to support the STEAM Academy School of Environmental Sustainability; a Mobile Breakfast Academy Program; and sustainable project grants to High School South and Intermediate East. 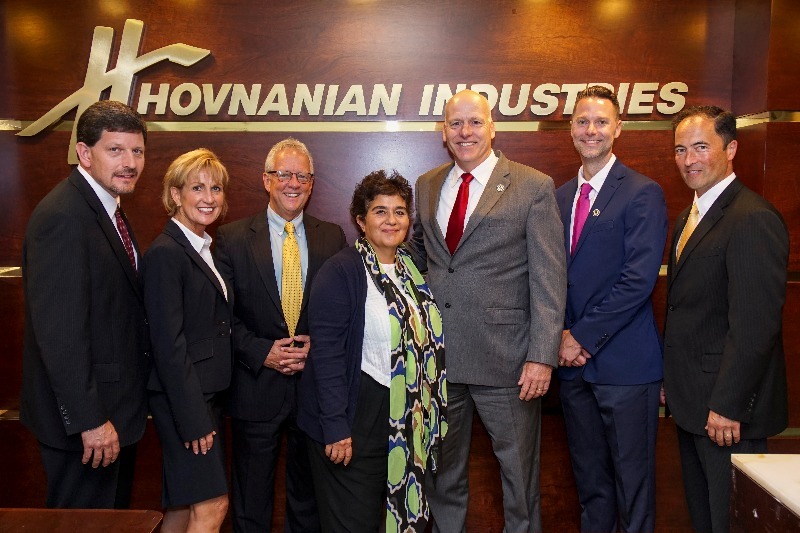 H Hovnanian- Edele Hovnanian of the Hirair and Anna Hovnanian Foundation awarded the district two grants in support of an Anatomy and Physiology Lab and a Real Estate Incubator. Grunin Foundation- the Jay and Linda Grunin Foundation's Principals Innovation Challenge awarded $182,000 in 2016, support that was distributed among 19 school buildings for STEAM programs. SAP- the tech giant awarded the district a grant in support of the #WeAreTRCoders program, which will teach girls aged 12-14 the basics of coding. OceanFirst Foundation- enabled innovative, model classrooms to be established at North Dover and East Dover Elementary Schools. EPA- the district was awarded rebate grant funding from the Environmental Protection Agency to replace old buses with newer, energy-efficient models. NEA- in 2017 the district became one of the first two school districts to win a grant to host NEA Big Read, the prestigious literacy campaign designed by the National Endowment for the Arts and Arts Midwest; previously, the NEA supported arts-integrated teaching at the district through professional development. Steelcase Education- its annual Active Learning Center grant and classroom renovation is awarded to only 15 educational institutions annually, and in 2017 Toms River Regional Schools was a proud winner. NJDOE- Toms River Regional Schools was one of 10 districts statewide in 2017 to earn a grant from the NJ Department of Education to pilot a Title I arts integration program; in 2016, the NJDOE funded a summer makercamp for Title I intermediate students that became a model program of its kind. Financial support through appropriate and motivated sponsors in the region has grown in the past three years, from naming rights to competitive team sponsorships, banners at our sports fields and arena, and room makeovers. Office Depot- sponsored a $65,000 makerspace maker-over of a woodshop at Intermediate East, now called the Innovation Station. 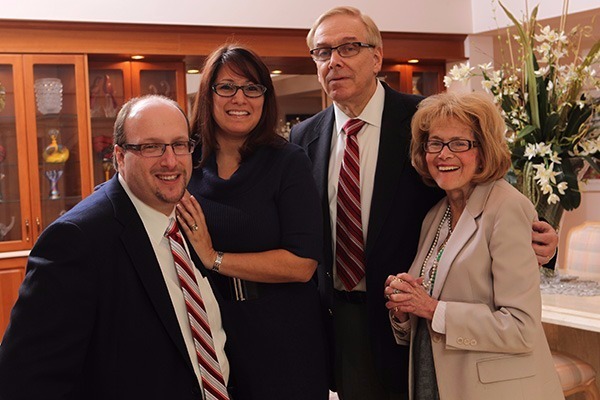 The Jay and Linda Grunin Foundation- has sponsored Toms River Regional Schools on a number of initiatives including the Principals Innovation Challenge and the hiring of a district grant writer. RWJBarnabas Health- sponsors the district's 3,200-seat arena on the campus of High School North, and is a partner in a number of health and wellness initiatives. Pine Belt Auto Group- has sponsored marquee events like Jersey Shore Makerfest and the Driven to Excellence program. Multipath Communications Group- sponsored the district's 2016 Professional Day. Jersey Mike's Subs of Toms River- their Month of Giving fundraiser was dedicated to High School North in March 2016, raising more than $10k for the school. Edele Hovnanian of the Hirair and Anna Hovnanian Foundation has sponsored the district's Career Academies with funding for an Anatomy and Physiology Lab and a unique Real Estate Incubator. 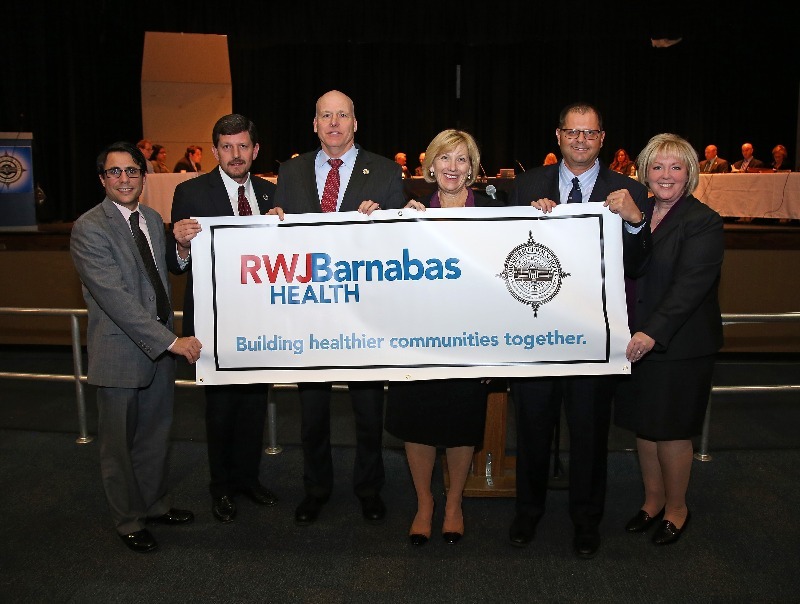 An alliance with RWJBarnabas Health has given the arena on the campus of Toms River High School North a new name-- RWJBarnabas Health Arena-- and will foster collaboration and student-centered opportunities for health and wellness education. Toms River-based Jay and Linda Grunin Foundation has sponsored Toms River Regional Schools on a number of initiatives including the Principals Innovation Challenge and the hiring of a district grant writer.